This Advanced Guide is designed to supplement the summary provided by the Quick Start Guide and will not make sense unless the summary is read first. The Toolbox shows your available and vacant letters, their scores, number of magnets and probability bar. The Toolbox also shows your current score, current LWW Bank balance, and several other buttons. Clicking a Toolbox letter, the Rollback button, the Magnet button or the Help button changes the appearance of the mouse cursor to indicate the current Toolbox mode. For example, clicking the Help button changes the cursor into a Help cursor (showing a question mark on the cursor). Clicking the Help button also highlights the end tiles, assisting players to locate them. The Arrow button on the right of the Toolbox is used to change the location of the Toolbox placing it above or below the Board. This preference may assist players that cannot view all of the Board and Toolbox at the same time due to their small screens, lower resolutions or browsers showing additional toolbars. Most browsers provide a "full screen mode" to increase the viewing area. This mode is usually toggled with the F11 key. The Sound button is used to toggle all Lord Word Worm sounds on or off. The Toolbox location and sound preferences are remembered for each player's specific PC. The New Game button and Submit button perform similar functions. The Submit button submits your game, records your score then opens the "Choose Next Game…" window. The New Game button opens the "Choose Next Game…" window first so you can decide if you want to submit your current game and start a new one. Although there are some similarities between the distributions illustrated in the two charts above, the concepts are different. For example, comparing the letter I to L in the two charts we can see that both I and L occur approximately 5.6% times in the wordlist, whereas the letter L is used 6.0% times to create new words, compared to 3.0% for I. Therefore the points for I and L are the same (2 points) but when purchasing letters, L will appear twice as often as I. The letters X and Z occur a similar amount of times in the wordlist, however, X is worth additional points in recognition of its difficulty with creating new words (as reflected in the second chart). Purchased letters are randomly chosen from all A-Z letters, not just those that are currently vacant and need replenishing. Any purchased letter that already exists in your toolbox is discarded and cannot be stored. Therefore the most efficient use of the Letter button is when most of the letters in your toolbox are vacant. Magnets can only be applied to vacant letters. The first magnet costs 5c and doubles the probability of being replenished. The second magnet costs an additional 10c and doubles the probability compared to one magnet. The third and final magnet costs an additional 15c and doubles the probability compared to two magnets. Therefore it costs 30c to place all three magnets on a letter and increases the probability of being replenished by 800%. After the letter is replenished the magnets are removed from the letter. Magnets adjust the probability of a letter by reducing the probabilities of all other letters. Therefore, applying the same number of magnets to all 26 letters would defeat the purpose of the magnets because their probabilities would be the same as the letters without any magnets. Clicking the Magnet button temporarily shows a bar under each letter to indicate their relative probabilities. Magnets applied to letters are shown on the right side of the letters as round circles. Click the help cursor on a letter to view its precise current probability. Lord Word Worm uses a wordlist comprising standard four-letter words, excluding: proper nouns, swear words (words that are usually considered offensive and do not have any other valid definition) and words requiring apostrophes (such as don't and isn't). When attempting to place an invalid word, the tile will flip back and return to its original state. When attempting to place a word already existing in the worm, the existing word will be highlighted in red. When attempting to place a word that violates a condition on a gem, the condition will flash. When attempting to place a word that violates a condition. the condition will flash even if the word is not in the wordlist. This prevents players from looking for words in the wordlist by testing them on gems with violating conditions. To remember the logic used for conditions with multiple letters, just remember the letters are or'd. That is, ABC means you cannot place a word that has an A, B or C in it. ABC means you can only place a word that has an A, B or C in it. Click the help cursor on a tile to view information about the tile including its score, the gem and bonus that may apply to the tile, and to show clickable links to the word's definition. You cannot Rollback the centre starting tile. You cannot rollback a tile that returns an emerald gem if you do not have a sufficient balance in your LWW Bank to return the amount on the gem. You will need to increase your LWW Bank balance first (see "Increasing your LWW Bank" below). Moving the Rollback cursor over tiles can be a useful way to reveal the contents under the tiles. The 1c collected for placing a tile is kept even after rolling back that tile; however, the letter expended to create the new tile is not returned. This method can be used to increase your LWW Bank by expending unwanted available letters. Placing a tile deposits 1c into your LWW Bank, even if the tile is rolled back. Collecting an emerald gem deposits an amount (shown on the gem) into your LWW Bank. This amount must be returned if the tile that collected the gem is rolled back. Submitting a game adds a bonus to your LWW Bank based on your score at the rate of 1c per 50 points. Debit and credit cards can be used to increase your LWW bank via the Top-up button (see "Top-up" below). Lord Word Worm is owned by Inventerprising Pty Ltd, an Australian company. Your LWW Bank can be topped-up using Inventerprising's integrated proprietary Triple-S payment system providing "Simple, Safe and Secure" payments with MasterCards and Visa cards (debit and credit cards) from any country. Each dollar added to your LWW Bank costs you one Australian dollar (AUD). The Triple-S payment system displays an estimated conversion into your local currency; however, the exact amount will be determined by your own bank when they process the transaction and convert your local currency into Australian dollars. Your financial institution may charge you additional fees for card transactions or currency conversions (sometimes 1-3%). Please check with your financial institution if uncertain. Payments will be listed on your bank statement under the name "Inventerprising Pty Australia". LWW Bank balances cannot be converted to cash or transferred to your MasterCard or Visa card. Each time you provide new debit or credit card details you must also create a password. You will be prompted for the password to authorise your first Top-up. Subsequent Top-ups during the session do not require the password. Next time you login to Lord Word Worm and request a Top-up you will be required to enter the password again. We do not store your password and cannot look it up for you. If you forget your password or wish to change it, please re-enter your card details and create another password. If you press the Forget Password button on the Top-up window you will be required to re-enter the password before making another Top-up during the current session. The Forget Password is helpful if you wish to use your card to Top-up a game being played by someone else, but want to prevent them from making additional Top-ups using your card without your permission; this is more convenient than closing and re-opening the game after performing the Top-up. Click the help cursor in the LWW Bank box to list your Top-up history. There are several different high score categories. The Quarterly High Scores list contains each player's sum of all their scores submitted within the year's current quarter. At the beginning of each new quarter (1st Jan, 1st April, 1st July and 1st Oct) the list is cleared and all players start back at 0. Each player's score in the Quarterly High Scores is actually limited to the sum of their best 300 games. 300 games is large enough to be considered "all games" for most players, but also prevents players from significantly boosting their quarterly score by submitting an excessive number of games containing only the starting tile. The 21 Day High Scores list contains each player's sum of their best 3 scores submitted over the past 21 days. For example, if a player submits a score of 2000 points on 1st Feb at 8:30 then submits 3 more scores of 1000 points several days later, the player's 21 Day Score will be 4000 points until 22nd Feb 8:29 and will drop down to 3000 points at 8:30. Each week the Lord Word Worm Team releases a new weekly challenge. All players have one week to complete the challenge, until the end of Sunday. At midnight UTC (when Monday morning begins) the next weekly challenge is released. Weekly submissions are included in the Quarterly and 21 Day high scores, as well as the Weekly High Scores list. At the beginning of a new week, the previous week's high scores are moved into the "Last Week's Challenge" list, and players' solutions are available for viewing. You cannot view players' solutions for the current week. You cannot view players' solutions for the previous week whilst you are still playing the previous week's game. High Scores lists initially show ranks 1-20. Below the list there are navigation buttons to change the range of ranks being shown. You can view up to the 10,000th rank. You and your friends' scores will always be included in the lists regardless of their ranks or the range of ranks currently shown. In the case of tied scores, rank is based on the order of submission (ie games submitted earlier will be ranked higher). Scores are calculated based on the total word scores plus any additional bonuses, then multiplied by any percentage bonuses. 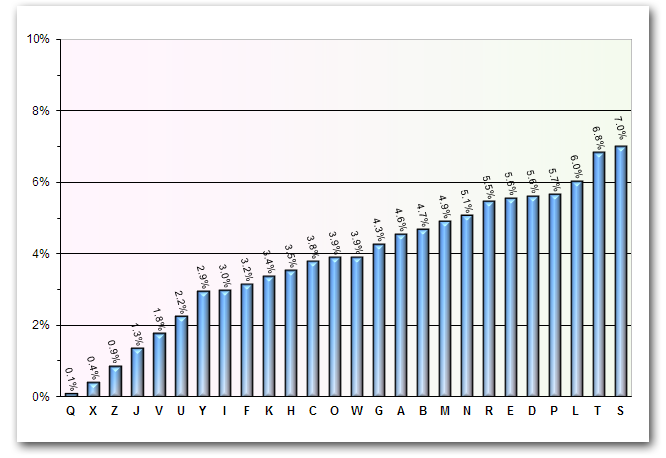 Word scores are the sum of the letter scores comprising the word. If the tile is on a quartz gem, the word score is tripled (x3). A 100 point bonus is added if your worm contains the words "Lord", "Word" and "Worm" together either forwards or backwards. A 260 point bonus is added if your worm contains every letter (A-Z). Closed loops (described below in "Submitting") score a 25% bonus. Finally, the ruby gem bonus percentages are applied. All percentage bonuses are compounded together. By compounding bonuses your score increases more rapidly compared to just adding up the bonus percentages. For example if you have a score of 100 points and you collect a ruby worth 20%, your score becomes 120 points. If you then collect a ruby worth 25% your score becomes 150 (an extra 25% of the 120 points, not 100 points plus 45%). In this way your score accelerates as you collect more gems and fill more of the Board. A half-completed Board will typically score more than twice the points of a quarter-completed Board. Games can be submitted by clicking the Submit button, clicking the New Game button or by closing the loop. You cannot start a new game until you've submitted the current one, nor can you return and play a previously submitted game. This also applies to recommended games and challenges including the weekly challenges. You can close the loop by joining the worm's head with its tail. To do this, select the letter required to create the new word then drag an end tile to its adjacent end tile as though you were flipping out a new tile. However, in this case the tile already exists in the "flipped" location and you are therefore closing the loop. You will be prompted to confirm you wish to close the loop and submit the game. When submitting your game you are given the option to publish the results to your Facebook Wall along with any comments you wish to make. 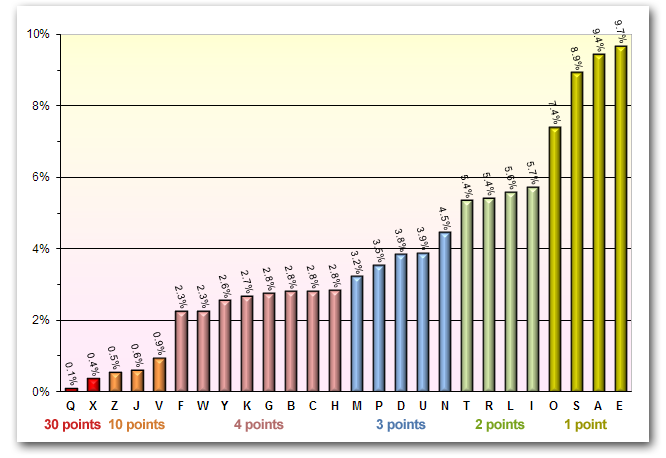 You also earn 1c for every 50 points scored when your game is submitted. 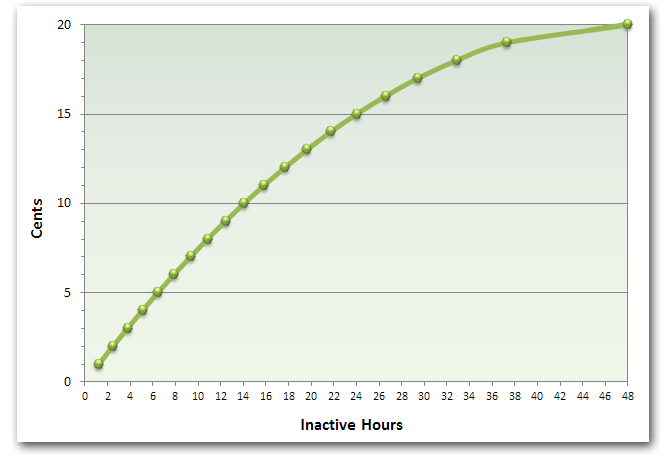 The bonus added to your LWW Bank for submitting a game can easily be more than the amount gained from 48 hours of inactivity. A well-played game can earn a bonus of more than $1 when submitted. After submitting your game the "Choose Next Game…" window will be shown. From here you can select any game recommended or challenged by your friends or the Lord Word Worm Team (including the weekly challenge if you have not already completed it), or a randomly created Easy, Medium or Hard game. Although the harder random games are more difficult to play, they also have the potential for higher scores compared to the easier games. Starting a new game costs 5c. If your LWW Bank balance is less than 5c you will only be charged the amount in your LWW Bank. If your LWW Bank balance is 0c the new game is free. By applying a small fee to start a new game, players are dissuaded from "trawling" through an excessive number of random games looking for a "perfect board". Clicking the Friends button opens the "Recommend/Challenge Friends…" window. Friends with the LWW icon in the top left are Lord Word Worm players. From this window select one or more friends. You can select and deselect multiple friends either by clicking the mouse button, holding down the mouse button and swiping, or clicking the Select… buttons below the list. Type a brief message or description to appear in the recommendation/challenge list (and on their Facebook Wall if the option is selected). If a selected friend is not a Lord Word Worm player, your recommendation/challenge will be waiting for them once they start playing. You must make the recommendation or challenge before submitting your game; once the game is submitted you cannot return to it. Recommendations appear in your friends' "Choose Next Game…" list for seven days or until they select it and start playing. Challenges enable you to compare your game's score with other friends. Challenges also appear in the "Choose Next Game…" list as well as the "Challenges" tab above the Board. Challenges last for seven days or until all players have submitted the game. At that stage the challenge is closed and appears for another seven days to allow players to compare scores and view each others' solutions. You can only view a solution if you are not currently playing that game. If you challenge another player to a game and they have already submitted the game, their score will immediately appear in the challenge list. If you recommend a game to a player and they have already played the game, the recommendation will not appear in their list. You may recommend or challenge other players to the current Weekly Challenge, however the recommendation or challenge closes at the end of the week (same as the weekly cut-off) rather than seven days from the time you made the recommendation or challenge.